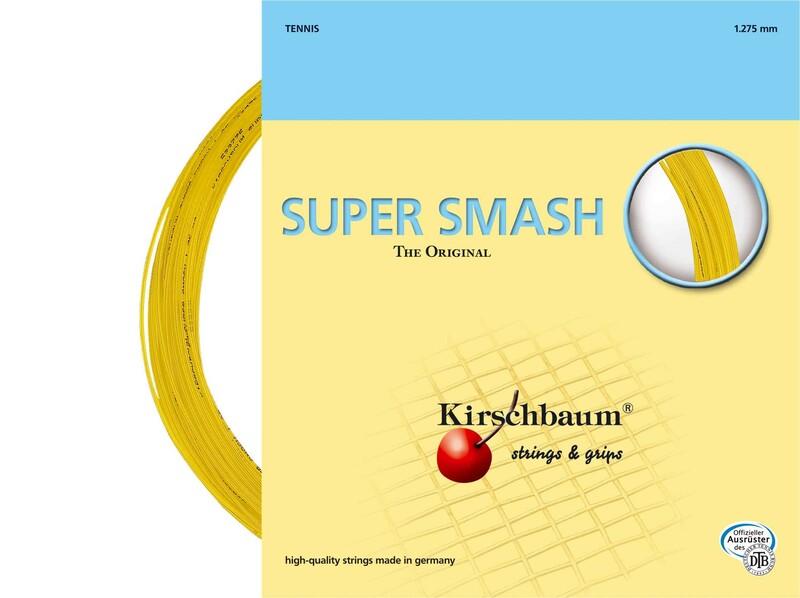 Kirschbaum Super Smash Orange offers exceptional control, spin and durability. Designed for players with long, powerful strokes. Kirschbaum Super Smash offers exceptional control, spin and durability. Designed for players with long, powerful strokes. This one is pre-stretched, which reduces tension loss. A great option for players who want control while swinging with a full stroke. Firm feel, durable and good control.